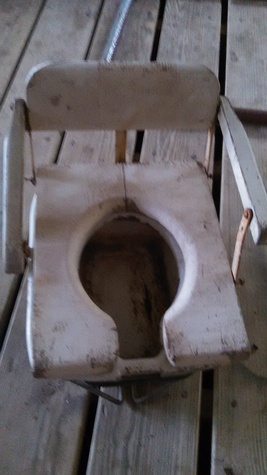 If you like old, this baby potty seat must have came in on the Mayflower. It's made of metal and wood with enamel finish. Just think what you could display in this crapper. This poop catcher stands tall with a smelly history.